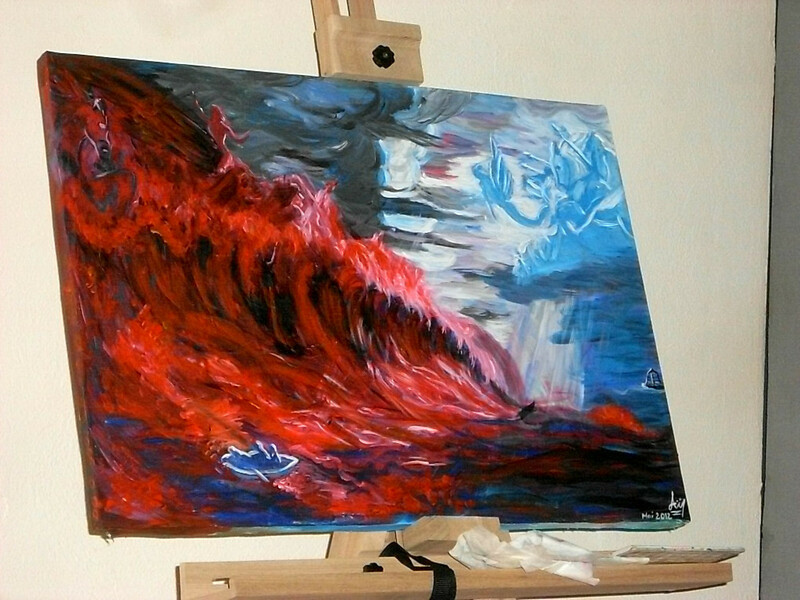 A abstract colorfull landscape represent a war between sea and sky Gods. 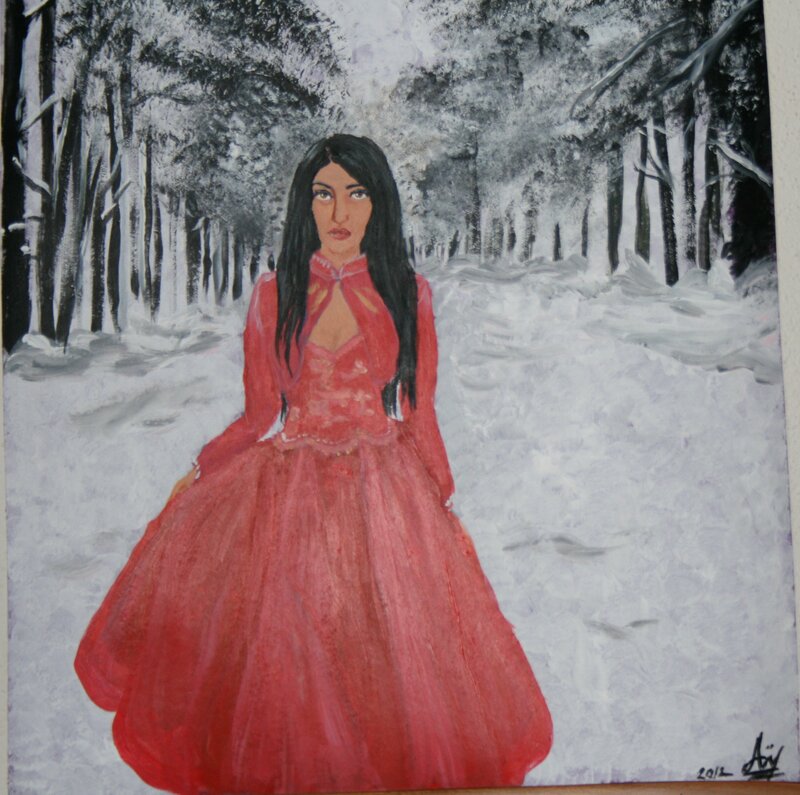 Modern art done on high quality canvas with acrylic painting. 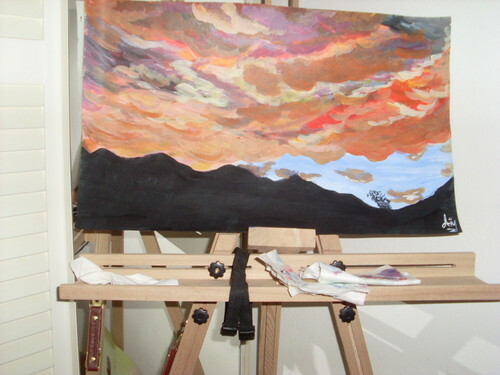 done on top of a other painting done in 2010,if you wish can have a picture of the painting what is under. A nice piece at a best price. dont need a frame is already canvas wood framed,ready to be on your wall. made with acrylic on rigid paper. A best price for a nice collection. Acrylic on canvas already wood framed. Signed and dated ,who knows the mountain knows also the magic place and the story of it. Magical marin sea landscape original acrylic painting on canvas NO FRAME NEEDED i will ship it to you as you see it ALREADY WOOD FRAMED of the cotton canvas. Total together 1 8 0 cm x 8 0 cm !!!! Of course it comes together with a COA. Perfect for a living room or a hotel entrance etc. Finger painting on rigid paper dome with acrylic.Very colorful. Made with acrylic on cotton canvas wood framed gallery style,was so nice and fun to make it,takes about 3 weeks to be done. Please contact me with your location,perhaps to your country te shipping can cost less,here you have the total price shipping included($850). Comes with certificate,and dont needs frame. 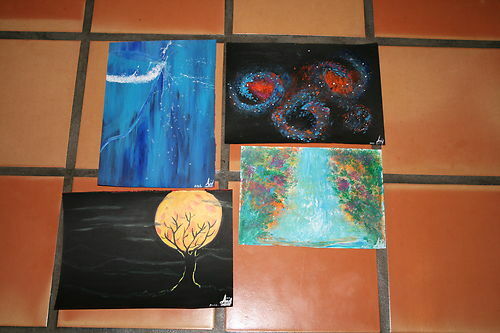 LOT OF 4 dated and signed paintings acrylic on paper .A nice mini collection for a nice price. the waterfall is 2 cm smaller. Dated and signed,acrylic on hard paper. Acrylic on canvas WOOD FRAMED. 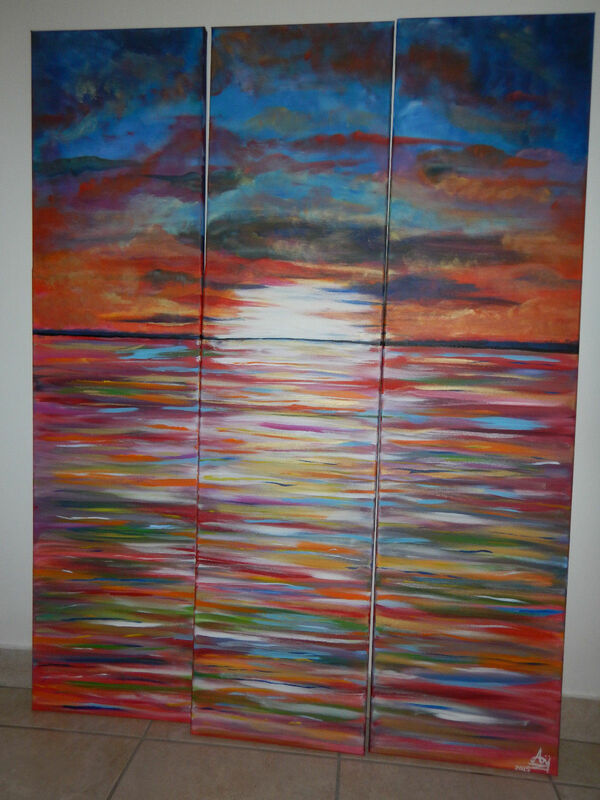 Huge landscape from artist sold direcly to customs so best prices too. 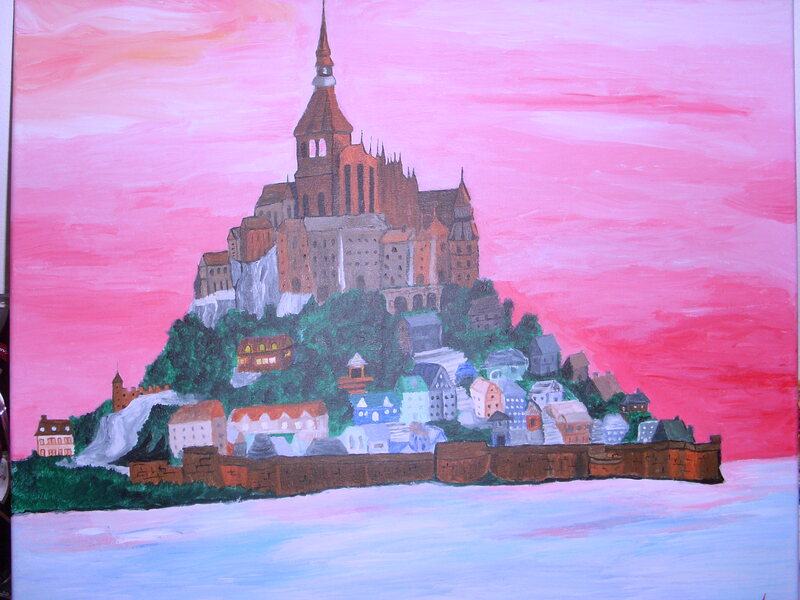 Colorful sunset magic and fantasy landscape done all with acrylic colors ever the Gold and silver paint is acrylic special products.All high quality for best results. 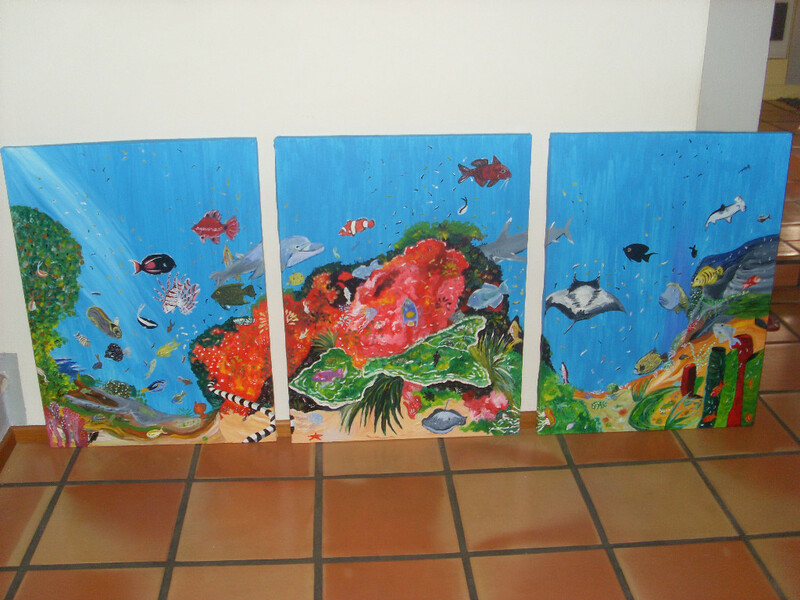 It is made from 3 canvases you can place them all togehter as a unique piece or with small distance between them for a modern effect is all possible because also the borders are painted as gallery style. Perfect for any room it give sensation of more space in the room and happiness being full of alive colors. This Canvases are wood framed as pictures show,it take about 3-4 weeks to be done and i.d love to make it.Hope you appreciate it as i do.